Getting Ready for Your Motorcycle Road Test? Book your motorcycle test rental with Valley Driving School and receive a 2 hour supervised riding lesson with our instructors. Get ready for your class 6 road test with our constructive feedback needed to sharpen the skills necessary to pass the road test. Whether you’ve taken the Valley Driving School complete motorcycle class, the motorcycle skills test or have been with a qualified supervisor riding a motorcycle for years. Brushing up on safe riding techniques will equip you with the knowledge needed for your test. 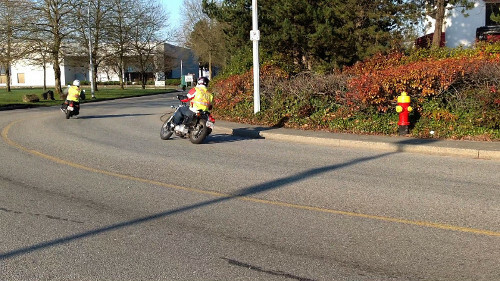 You even get to take the bike for your road test to make sure it meets the ICBC motorcycle requirements. Get the motorcycle training and riding skills to be ready for your test!